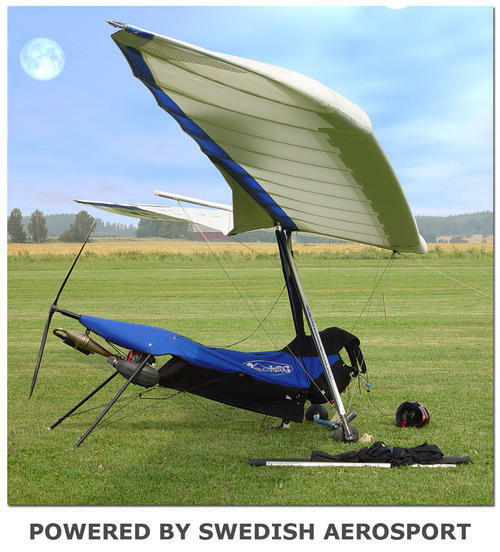 Welcome to the official homepage of the world's most advanced, succesfull and popular Foot Launched Powered Hang Gliding unit. FLPHG opens up new horizons for pilots that want to make the most out of the fantastic sport that is Hang Gliding. Imagine being able to fly more often, take off from any suitable large flat field, fly to different places, fly to places that a free-flying hangglider simply cannot fly to. Imagine being able to fly according to your own schedules & desires and not having to wait for the right day, the right weather or the right wind. Imagine being able to keep yourself current during those hard winter months and fly on days when everybody else is sitting home and dreaming of... flying. The possibilities are endless. Explore our website and find out more about FLPHG's best seller, the Mosquito NRG. Check out our menu (up and to the left) for everything you might need - from ordering forms and dealers to a full take off video tutorial! Buzz Aldrin´s mother´s maiden name was Moon?